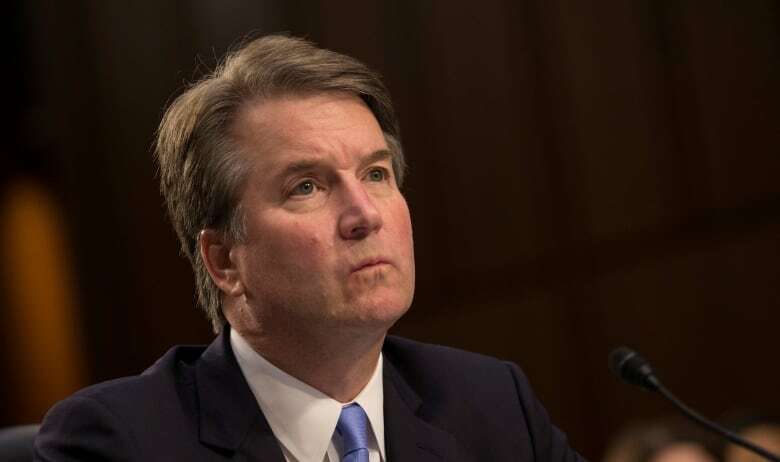 As U.S. President Donald Trump stepped up his defence of Brett Kavanaugh, his nominee for the Supreme Court, on Wednesday the Senate judiciary committee renewed its request to have the woman who accused Kavanaugh of sexual assault speak to his confirmation hearing. In a letter sent to Christine Blasey Ford's lawyers, Republican committee chairman Sen. Chuck Grassley offered to have his panel's investigators interview Ford wherever she wants, including where she lives, according to a person speaking anonymously because they weren't authorized to discuss the plans publicly. Grassley also said his committee's hearing on her allegations of sexual abuse will begin Monday morning, and gave Ford a Friday morning deadline if she intends to submit written testimony. 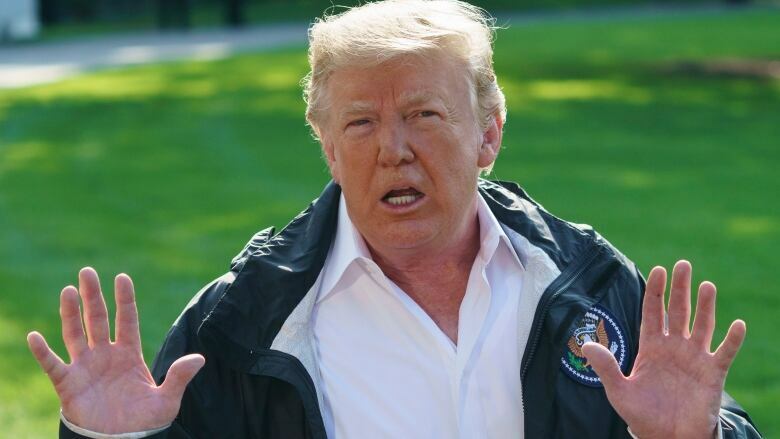 Earlier Wednesday, Trump answered questions about Kavanaugh, whose nomination is now in jeopardy in the Senate, as he left the White House to visit hurricane-stricken areas in North Carolina and South Carolina. Ford, a university professor in California, has accused Kavanaugh of sexually assaulting her in 1982 when both were high school students in suburban Maryland. Kavanaugh has denied the allegation. The judiciary committee, which oversees Supreme Court nominations, has scheduled a hearing for Monday and invited both Ford and Kavanaugh to testify. Grassley said he has also sought interviews related to the accusation with "two other alleged witnesses," although he did not identify either individual. One of Ford's lawyers, Lisa Banks, said late Tuesday the committee should interview multiple witnesses and that Ford wanted "a full non-partisan investigation" into the alleged sexual misconduct. Banks also decried the "unnecessary" rush to hold the Senate hearing. Ford's lawyers had earlier stated their client would not appear before the Senate until after the FBI probes the allegation. Officials have said the FBI is not looking into the matter and Grassley, in his letter to Ford's lawyers on Tuesday, said "no other outside investigation is necessary." He said Republicans are already conducting their own investigation. "Look, if she shows up and makes a credible showing, that will be very interesting and we'll have to make a decision. But I can only say this: he's such an outstanding man — very hard for me to imagine that anything happened," Trump told reporters. "I really want to see her," Trump said. The Republican president said he wanted the Senate confirmation process to play out. "I think he's an extraordinary man. I think he's a man of great intellect, as I've been telling you, and he had this unblemished record. This is a very tough thing for him and his family. And we want to get it over with," Trump said. "If she shows up, that would be wonderful. If she doesn't show up, that would be unfortunate," Trump added. The accusations have roiled a confirmation process that once seemed smooth for Kavanaugh, as the Republicans had the needed votes to confirm a nominee could consolidate the conservative grip on the top U.S. court. One key Democrat, Missouri Sen. Claire McCaskill, announced Wednesday she will vote against Kavanaugh, depriving Trump's nominee of a possible swing vote. McCaskill called the sexual assault allegation against Kavanaugh troubling, but said she based her decision on the judge's views on issues like presidential power and "dark money" in campaigns. She's the first of five undecided Senate Democrats in competitive re-election races to come out against Kavanaugh. Democrats in general are complaining that Kavanaugh's confirmation process is being rushed. On Wednesday, Alabama Sen. Doug Jones said the process for handling Ford's complaint had "gone off the rails" and that "it's unreasonable" for the judiciary committee to "force her hand without doing the appropriate investigation." But some female senators are seeing a deeper — and possibly insidious — narrative, especially if Republicans go ahead with Monday's hearing without Ford. "I think we all know when a situation is stacked," Sen. Mazie Hirono, a Democrat from Hawaii, told CNN on Wednesday. "This is a situation that is stacked… She's already been attacked, had to move out of her house." Meanwhile, Republicans have accused their Democratic colleagues, already opposed to Kavanaugh, of using calls for an FBI investigation as a ploy to delay the nomination. Sen. Lindsey Graham of South Carolina said Democrats' demands for an FBI probe are "not about finding the truth, but delaying the process until after the midterm elections." Congressional elections are slated for Nov. 6 — less than two months away — and Democrats are hoping to wrestle control of Congress from Graham and his fellow Republicans. Earlier on Wednesday, CNN reported that a former classmate of Kavanaugh denied attending a high school party where the nominee is accused of assaulting Ford. Patrick J. Smyth sent a letter to committee chair Grassley and top Democrat Dianne Feinstein in which he denied seeing any "improper conduct" by Kavanaugh, a classmate at Georgetown Preparatory School, according to CNN, which obtained a copy of the letter. "I understand that I have been identified by Dr. Christine Blasey Ford as the person she remembers as 'PJ' who supposedly was present at the party she described in her statements to the Washington Post," Smyth said in his letter, CNN reported. "I am issuing this statement today to make it clear to all involved that I have no knowledge of the party in question; nor do I have any knowledge of the allegations of improper conduct she has levelled against Brett Kavanaugh." It was not clear where and when Ford had identified Smyth as being present at the party. Ford has said Kavanaugh pinned her down and tried to take her clothes off while another boy, identified as Mark Judge, watched. 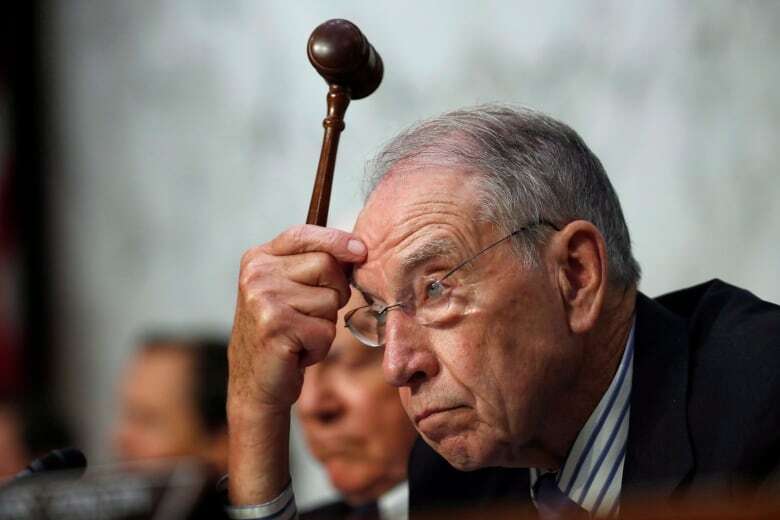 Judge earlier told Grassley through a lawyer he did not want to speak publicly. Judge, who has written about his teenage alcoholism, said he had no memory of the party at issue and had never seen Kavanaugh behave in the manner she described.